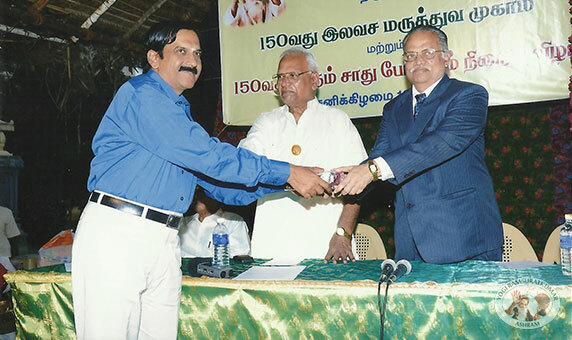 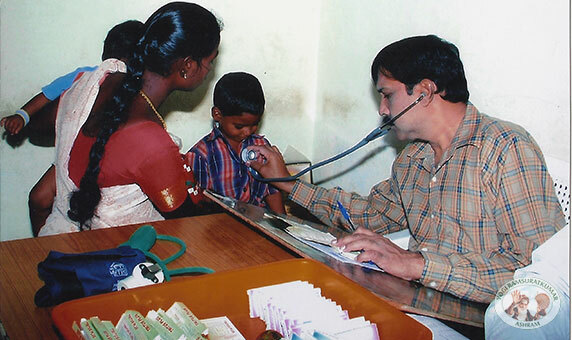 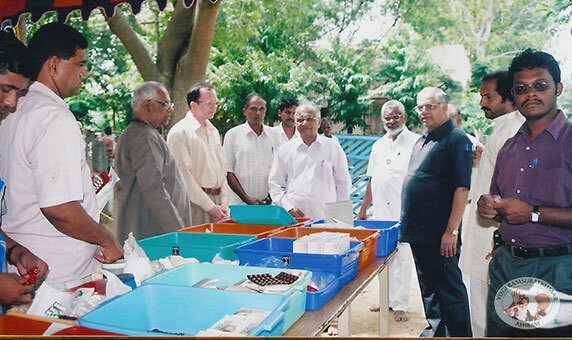 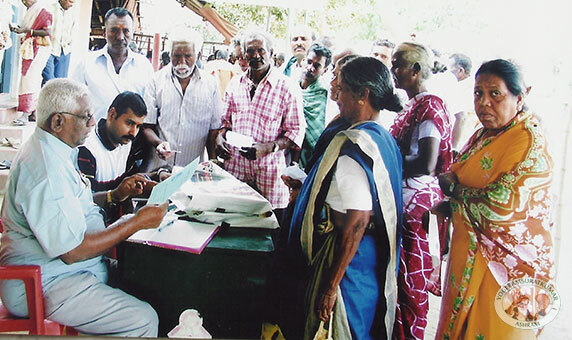 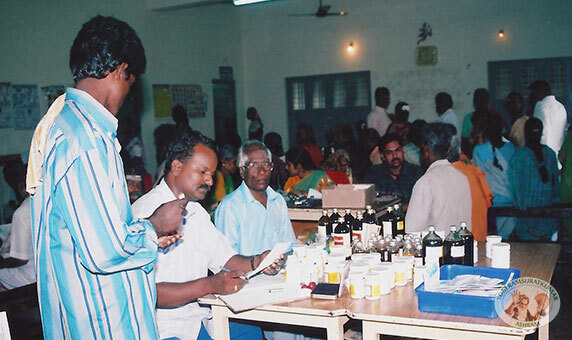 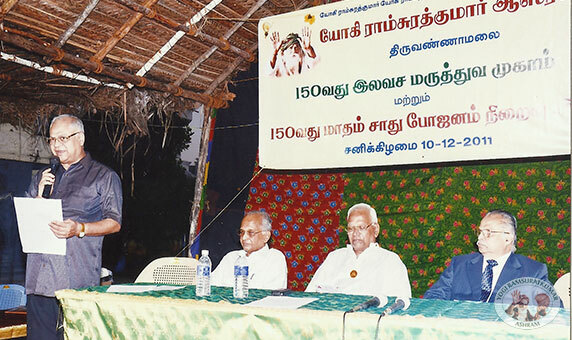 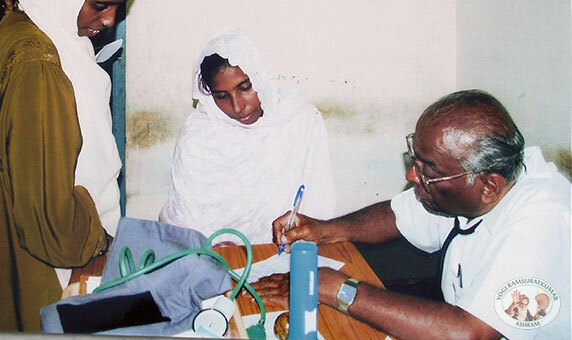 This free medical camp was inaugurated on 11th July, 1999. 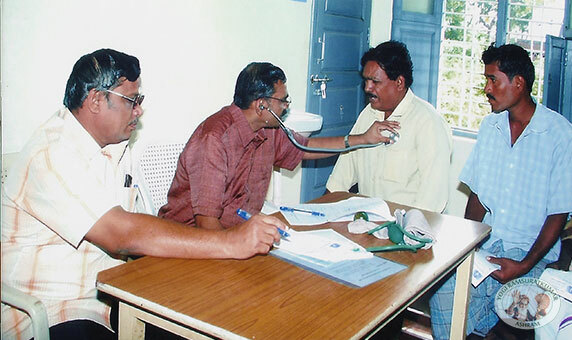 Devotee doctors diagnose and suggest treatments. 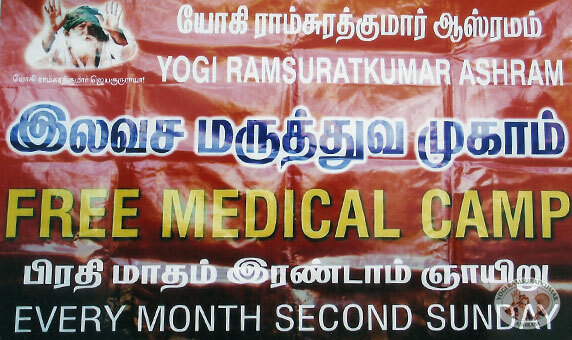 Drugs full course are supplied free. 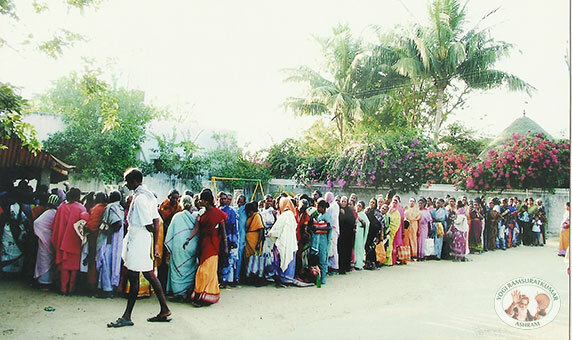 Initially we had about 100 patients, but now this camp serves nearly 800 to 1,000 sick people. 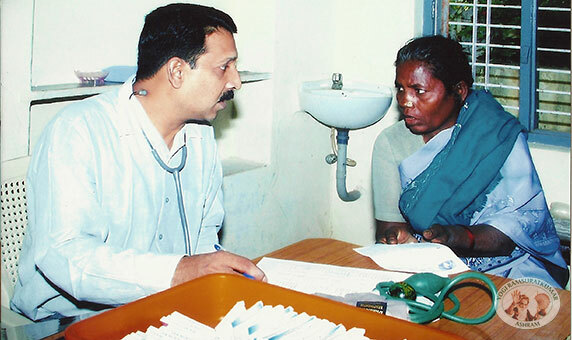 The doctors and para medical staff work with devotion and enthusiasm.